Camouflage clothing is rather self-explanatory. It is clothing worn by people, usually hunters, who wish to blend in with their environment. It is also used by military personnel for the same purpose. Use of high-end technology, the color is gorgeous, high color fastness. Wear-resisting not easy corrugate, dimension stability, not easy to shrink. 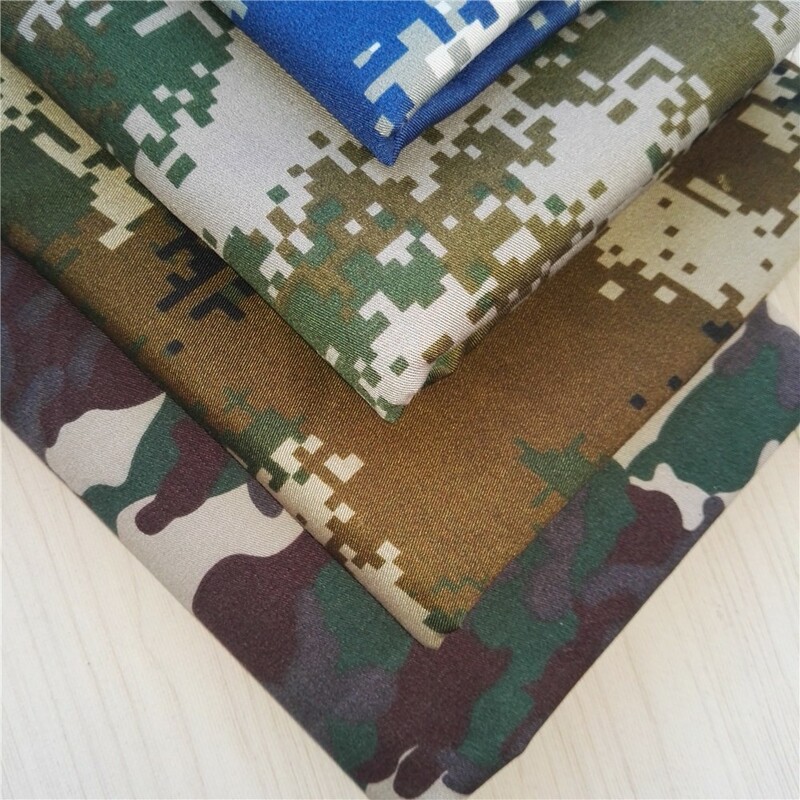 Application: Workwear, awning, car covers, bag, tent, luggage, frock etc.